Have you realized how much you can see if you just look up? The other night I was on my way home from a late yoga class. It was a snowy night so the streets were quiet, save for the occasional car. I was walking down a street I frequent weekly, as it’s along my route to the grocery store. But I did something different that night. And I noticed some of the most beautiful apartments that I’ve seen in Chicago. The building was unassuming – hence my overlooking it on a weekly basis – a couple dozen lofts situated inside a renovated warehouse. They were the perfect marriage of industrial and comfortable. My dream apartment. And on the rooftop was a water tower. Then it hit me. I’d seen this tower and this building many times from my very own rooftop and wondered where those beautiful apartments were located. Here they were, right in front of my face every week. But you know how I missed them? Because I never looked up. Then I realized I’d done the same thing earlier that very same day. On the way home from work it was snowing fat, wet snowflakes, the kind that feel more like rain than snow. I was trudging along, already bemoaning the fact that I was about to get on a packed train full of equally tired and grumpy souls, when I saw the girl in front of me stop and take a picture. What was she taking a picture of? I thought. It’s cold, it’s wet, what is there to see. Then I followed her line of sight. And it was majestic. 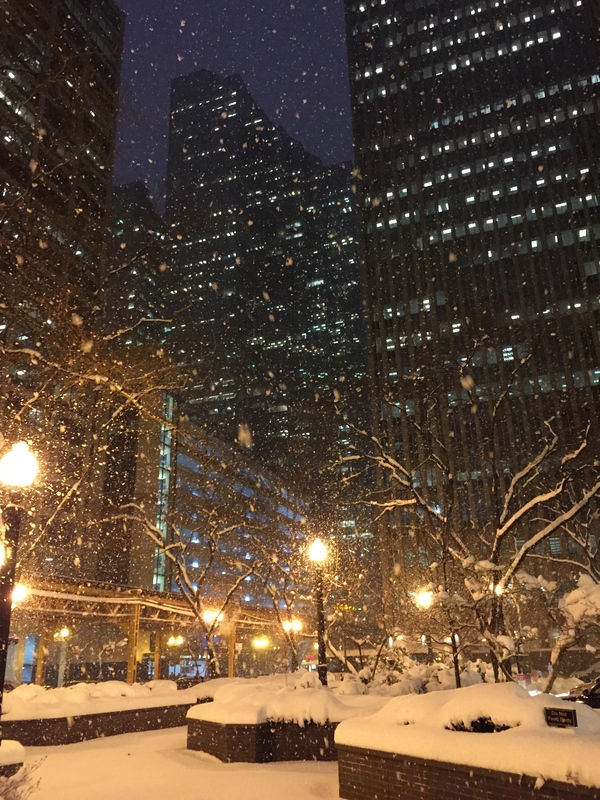 The snow, backlit by the streetlights and skyscrapers, was breathtaking as it fell. The same snow that I’d just been grumbling about was suddenly a wonderful site to behold. If you’re like me you find yourself in the daily grind of your own life, keeping your heads down and going about your business. But what I’ve come to realize is that’s when I miss out on the beauty found in the little things. I overlook the simple pleasure that I could experience if I’d only look up. So that’s what I’m striving to do more of. 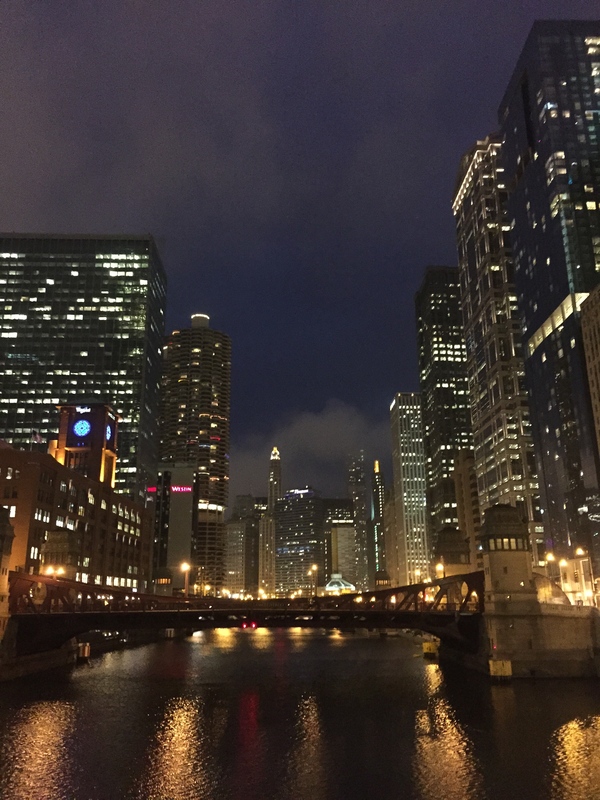 I’m still going about my daily routine in Chicago, but as I do so I’m making it a goal to look up more often. I encourage you to do the same in your day-to-day duties. Don’t be like me, missing out on the things that God’s put in your path to enjoy. Instead, I encourage you to just look up. Previous Post I’m Going On An Adventure!